You could crank your AC in an attempt to keep cool this summer, but who wants to pay through the roof on electric? Whether it’s by choice or forced on you, there are a number of ways to keep heat at bay during the summer. 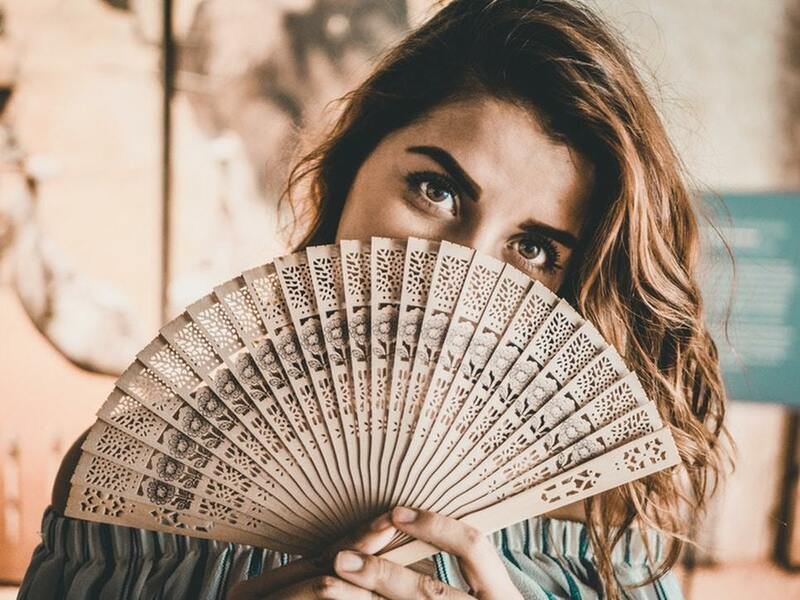 You’re probably already doing some of them, like running the ceiling fans, but there’s more that you can do to keep cool without abusing your air conditioner. 1. Focus on cooling yourself, not the apartment: All these tips are built on this idea, but it deserves to be pointed out. Air conditioning cools the whole apartment, but your comfort depends on how you feel. It’s okay if the temperature is high, so long as you feel cool. 2. Use ice packs (or other cold items): Freeze an ice pack and place it underneath you on the couch or bed. Keep it in a pocket while you’re walking or lounging around the apartment. Keeping it close to you will cool you down considerably. In a pinch, you can use frozen food, such as a bag of peas or popsicles, just be cautious of the mess they can make. 3. Freeze your sheets and clothes: Place your sheets and pillowcases in the freezer a few hours before bedtime, and make your bed with them right before you get in. The same trick will work for clothes, so while you can’t open the freezer to cool the room, you can use it to cool your clothes. 4. Take a cold bath or shower: If the thought of getting into a cold bath makes you sweat, fill it first with lukewarm or room temperature water, and get in. Gradually let the lukewarm water out and refill it with cold water until you’re in a mostly cold bath. You’ll feel cool for a long time afterwards. 5. Eat cool foods: Running the stove or oven just warms up the room. Instead, try to eat cold foods that don’t need to be cooked. Not only do you avoid creating more heat, but they also help cool you off. Popsicles and other ice cream are really helpful for this, and who doesn’t want an excuse to eat more ice cream? 6. Wear cooler clothes: If you’re home alone, go without clothes or walk around in your underwear or a bathing suit. Otherwise, wear natural fabrics such as linen, cotton and silk. These breathe better than man-made materials, such as rayon, polyester and other artificial fibers. Athletic wear is an exception and can wick moisture away from your body. Looser clothes also tend to breathe better than tighter clothes. 7. Close and cover windows and doors: Leaving windows open lets in warm air, and just leaving the blinds open lets in sunlight, which also warms up the room. At least close the blinds, if not putting up lined drapes or aluminum foil to reflect sunlight out of the room. Also, focus on just the part of the apartment you’re going to be in. Closing off parts of the apartment cuts down on air circulation, but that’s a benefit if most of the air that can circulate is warm air. 8. Set up fans cleverly: If you have multiple fans, set them up so that they intersect on you, the air hitting you from multiple directions. Make sure that your ceiling fan is set to counterclockwise, drawing the warm air upwards. Fill and freeze jugs of water, placing them behind fans (with a towel under the jug to absorb the water) to blow cool air at you. It’s helpful to have a fan blowing air at you, but setting it up properly can make a really big difference. 9. Drink ice water: Cooling down starts on the inside, so downing several glasses of ice-cold water will really put the chill on. Drink one ounce of water for every two pounds of your body weight. For instance, if you weigh 150 pounds, drink at least 75 ounces, or a little more than nine eight-ounce glasses, of water per day. 10. Use mint or menthol products: Smear cooling topical ointments with medicated vapors (such as Vicks VapoRub) or peppermint lotion on your skin. Bathe with peppermint soap, use lip balm with peppermint oil and brush your teeth with something minty. Mint refreshes the skin and leaves a nice cooling sensation. 11. Go somewhere with air conditioning: Just because you don’t want to run the air conditioner doesn’t mean that no one is. If a day is particularly unbearable, that could be the time to find somewhere else to go. Grocery stores, especially in the dairy aisle, are somewhere you probably need to go anyway, so why not now? You can also go to a grocery store, a friend’s house, or make it an outing to a movie theater. Wherever it is, someone else is paying for the air conditioning, and you get to really relax and embrace the cold.